Russian media reports that hundreds of men, whom the Chechen state believe to be gay, have been abducted and tortured with some murdered, as part of a coordinated campaign of state-sponsored homophobia. Reports are suggesting that detention camps are in operation, and that the public are being incited to hate violence and 'honour killings'. 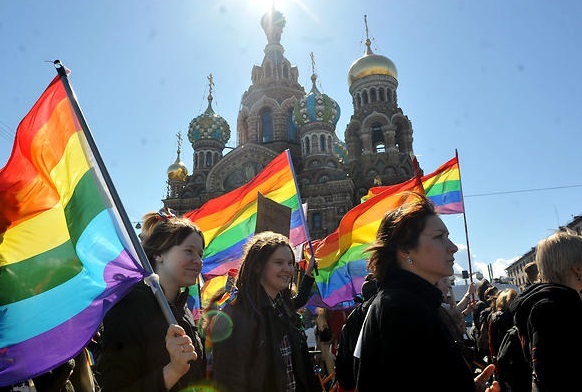 There are now many differing reports circulating on the abuses, but the Russian LGBT Network have confirmed there have been deaths and that the situation is urgent. Whilst the Russian authorities are 'investigating' the matter, this human rights atrocity must be condemned and international pressure brought upon the issue. There are numerous websites and sources urging action on this matter. We would urge you to ensure that any action you take is in line with the requests of LGBT activists in Russia and that no individual actions are taken which could further endanger the safety and the lives of those gay men already at risk. Take a look at the recommendations of Equality Network and Amnesty International who are in touch with activists in the region. LEAP Sports have also written to Government to add our support to this pressure. Written on 12th April 2017.